Peter Venkman, PhD, may be a hedonist and an incessant womanizer. But his extroversion and gift of gab provide the Ghostbusters with leadership and very dry humor. Our Ghostbusters Peter Q-Pop shows the outspoken parapsychologist holding a loaded ghost trap with an ectoplasmic arm sticking out. As with all Q-Pop figures from Quantum Mechanix (QMx), Peter comes with a whiteboard word bubble for writing your favorite quotes and sound effects. Display it atop a transparent plastic post (included) or show the figure all by itself. Either way, the slacker hero Peter will snare some ghosts and keep you from getting slimed. The most earnest of the Ghostbusters, Ray Stantz, PhD, possesses a childlike sense of wonder and enthusiasm. No one pursues the paranormal with more gusto. 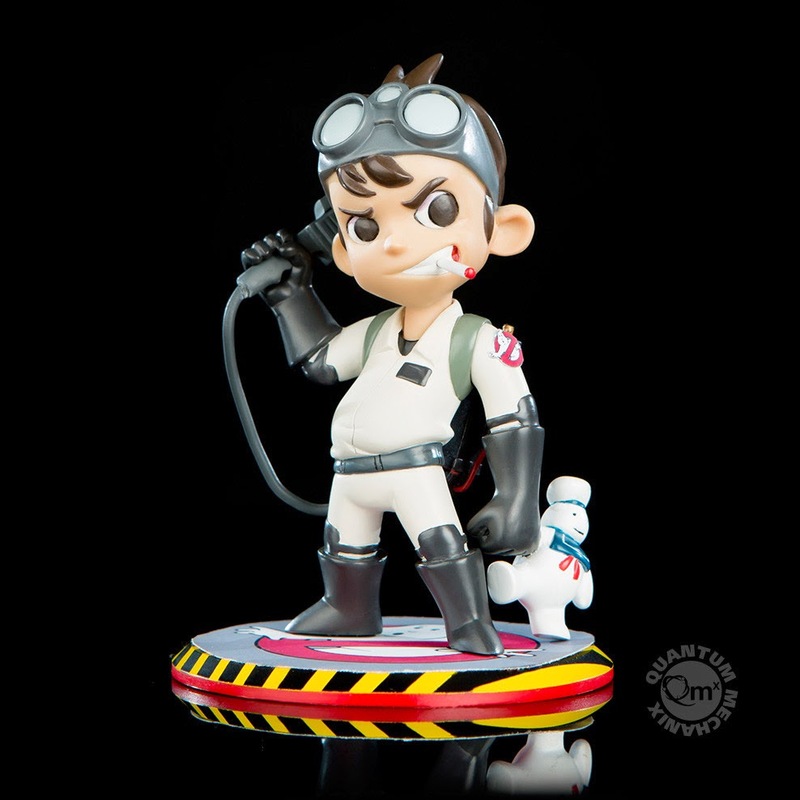 Our Ghostbusters Ray Q-Pop is packing a Proton Pack particle accelerator while holding the hand of a miniature Stay Puft Marshmallow Man. 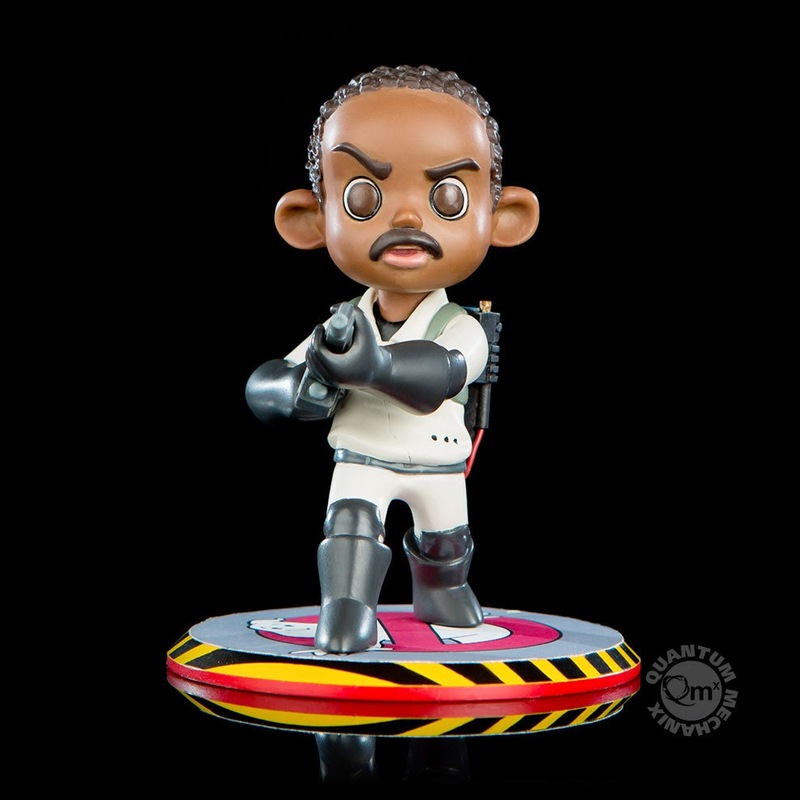 As with all Q-Pop figures from Quantum Mechanix (QMx), Ray comes with a whiteboard word bubble for writing your favorite quotes and sound effects. Display it atop a transparent plastic post (included) or show the figure all by itself. Either way, Ray is ready to take some hits of ectoplasmic residue to keep you safe. Egon Spengler, PhD, is the geek the Ghostbusters can't do without. After all, the brainy, bespectacled scientist designs technical equipment and keeps the team on track. Our Ghostbusters Egon Q-Pop figure is posed studying a P.K.E. (psycho-kinetic energy) meter, ever on the lookout for paranormal activity. 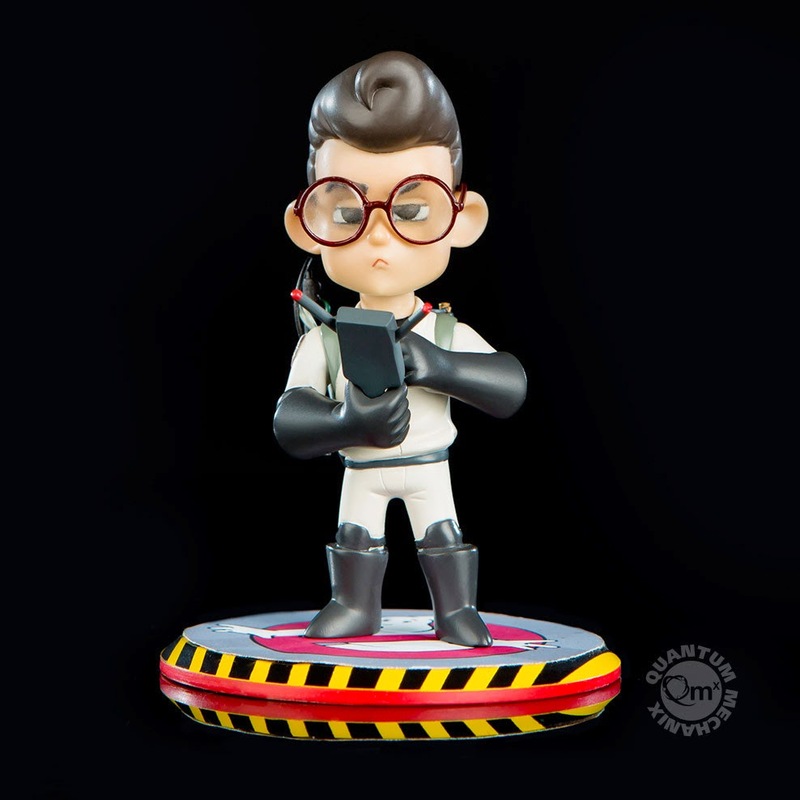 As with all Q-Pop figures from Quantum Mechanix (QMx), Egon comes with a whiteboard word bubble for writing your favorite quotes and sound effects. Display it atop a transparent plastic post (included) or show the figure all by itself. Either way, the bookish, socially awkward Egon stands ready to keep ghosts in your neighborhood at bay. 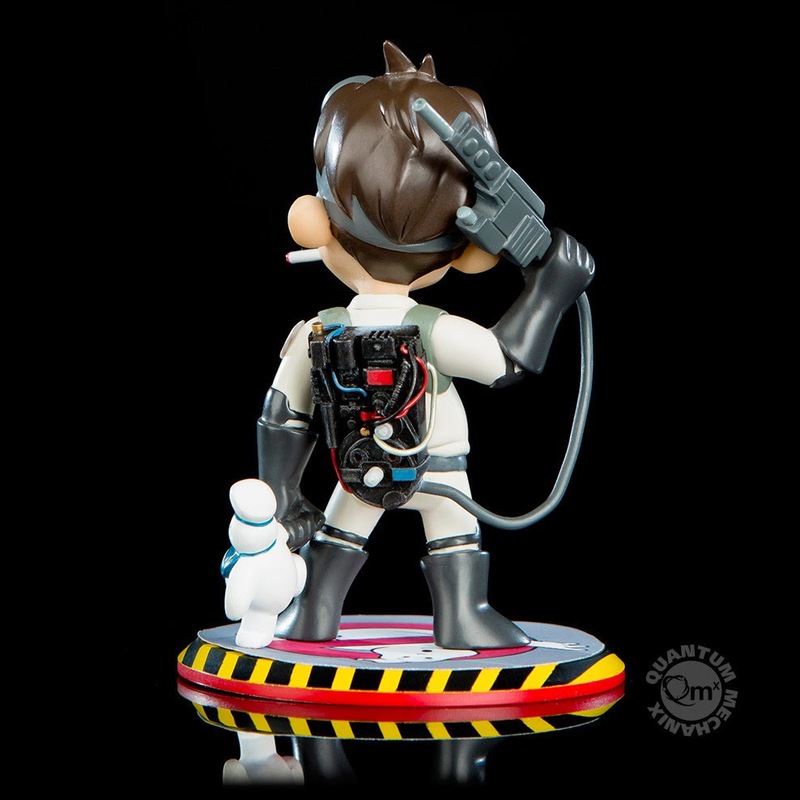 Each figure will retail for 19.95. 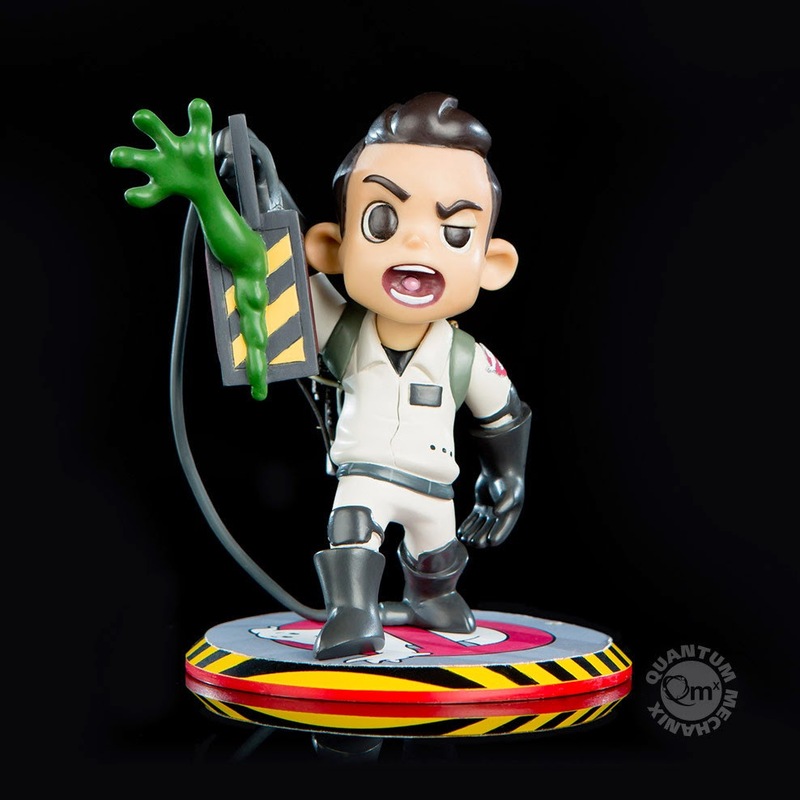 Hit up http://qmxonline.com/collections/ghostbusters to see Quantum Mechanix full line of Ghostbusters merch and pre-order those Q-Pops! This looks like a fun toy. I bet any ghostbusters fan would love this. Happy to see Winston get represented!